Lisa began dancing at the age of three and has been trained in various styles of dance, including ballet, jazz, tap, lyrical, modern, pointe, and hip hop. Lisa joined BBDC during its opening year in 1998. She was selected as one of the first members of The Force Dance Company and competed in many dance competitions across the tri-state area, where she was frequently recognized for her tap and jazz solos. As a member of The Force, Lisa was a student teacher and also performed at various events and venues in the local area to promote BBDC, including nursing homes, malls, and holiday parties. Lisa continued her career in dance at Loyola College in Maryland, where she was selected as a member of the Loyola College Dance Company. She performed and choreographed many dance numbers for the student body. 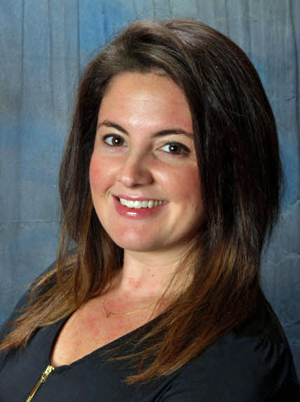 Lisa is extremely proud to return to BBDC as a tap, jazz, musical theater, and hip hop instructor. She is thrilled to give back to the dance studio that has molded her into a poised, confident, and graceful performer. Lisa thoroughly enjoys seeing the progress and enthusiasm of young dancers and is excited to share her passion for dance with the BBDC family!